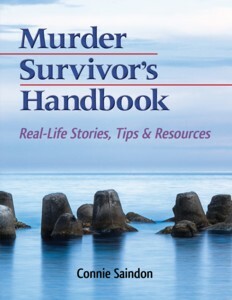 Mu rder Survivors Handbook was honored with a Benjamin Franklin GOLD award by the Independent Book Publishers Association. It had already won the Silver and was a runner up for the Gold. Winners were announced Friday night at an awards banquet. It was judged the best in the self help category. This is indeed a deeply heartfelt honor for all of the broken hearts and wisdom that contributed to this one of a kind book. The commitment was clear and intentional. Everyone involved wanted more than what was available to support those who lose someone to murder and better equip those who work with them. This Gold Award acknowledges this and the recognition will aid in getting this book into the hands of those who will benefit from it.